Dhal is perhaps the unsung hero of Indian cuisine. All too often dismissed as a poor man’s curry or a dreary side dish, dhal is in fact so much more. 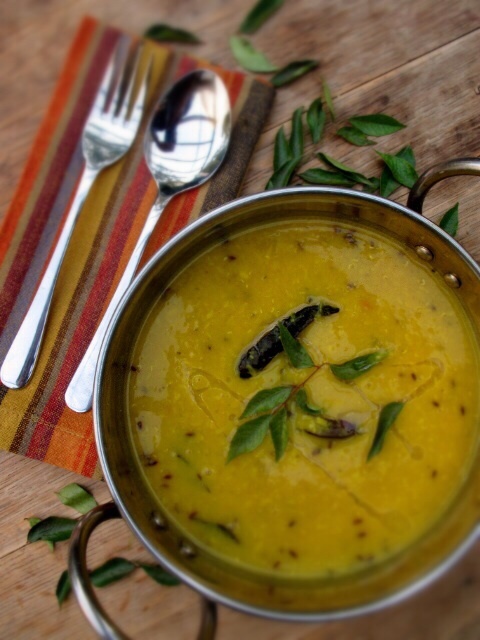 Nutritious, simple and varied, dhal deserves to feature in any Indian meal. Personally, I could happily tuck into just a bowl of dhal and rice! This recipe is dhal in its purest form. Flavoured with turmeric and seasoned with a tarka, this dhal recipe is delightfully simple and incredibly tasty. The recipe uses two different types of dhal, red and yellow, but feel free just use 150g of either. Unlike curries, dhal is best eaten on the same day it is made. Combine the lentils into a pot and rinse a couple of times, drain. Take off the heat once the lentils have broken down and formed a thick dhal.